On the way to Saint-Jacques-de-Compostelle Take a hike on the way to Saint-Jacques-de-Compostelle, from Tournai to Saint-Quentin in seven stages! 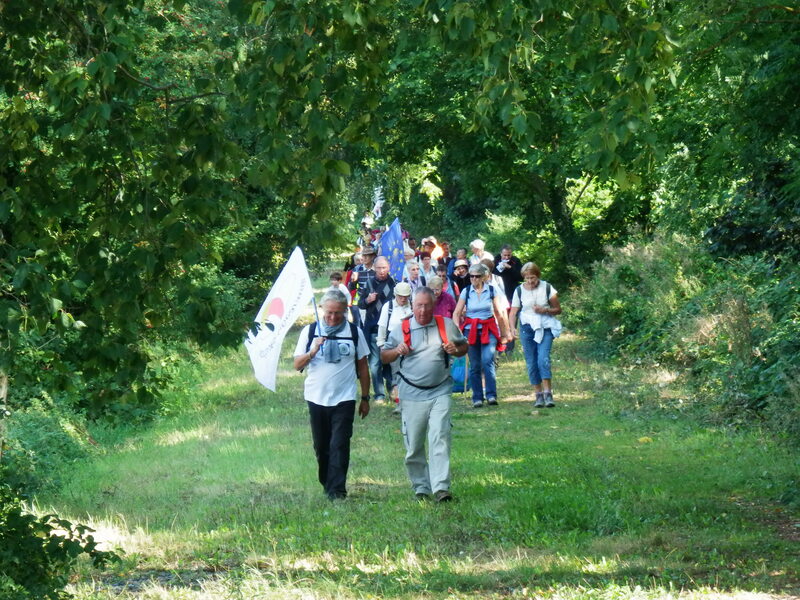 For the second year in a row, the Tourist Offices of La Porte du Hainaut, Cambrésis, the Pays du Vermandois and Saint-Quentinois strengthened by the Tourist Office of Tournai, meet you for seven beautiful hikes and a stroll family. Note the first date: Saturday, April 27, go to the town hall of Mortagne-du-Nord at 9:30! After a coach transfer to Tournai, provided by the Friends of Santiago de Compostela of Tournai, you are ready to travel the 18 kilometers necessary to reach Mortagne-du-Nord! Take the time to discover the beauties of the countryside and the Scarpe-Scheldt confluence. If you wish, stop at the Saint-Jacques church in Tournai to enjoy a guided tour before leaving on the way to Saint-Jacques-de-Compostelle! At the arrival of this first stage, six other routes towards Saint-Quentin are waiting for you ... For more information and to book, contact the Tourist Offices organizers, including the Tourist Office of La Porte du Hainaut on +33 (0) 3 27 48 39 65 or by mail: contact@tourisme-porteduhainaut.fr Or online at www.saint-quentin-tourisme.fr From Tournai to Saint-Quentin in 7 steps Have you ever read Saint James Way from Tournai to Saint-Quentin? Notice to hikers and pilgrims! Through 7 stages, discover it on Saturdays: April 27, from Tournai to Mortagne-du-Nord, 18 kilometers; May 18, from Mortagne-du-Nord to Wallers-Arenberg, 19 kilometers; June 15, from Wallers-Arenberg to Bouchain, 16 kilometers; July 6, from Bouchain to Cambrai, 19 kilometers; September 7th, from Cambrai to Honnecourt-sur-Escaut, 18 kilometers; September 28, from Honnecourt-sur-Escaut to Joncourt, 17 kilometers; finally 19 October, from Joncourt to Saint-Quentin, for 17 kilometers. Depending on the itinerary, you can enhance your hike with a guided tour or a tasting: guided tour of the Saint-Jacques church in Tournai, the Museum of the Abbey Tower in Saint-Amand-les-Eaux, the CRP / Regional Center from Hauts-de-France photography in Douchy-les-Mines, from Cambrai.Lab (new cultural equipment that will open soon), the Abbey of Vaucelles, the Scheldt brewery or the buffet of the train station of Saint-Quentin. For each itinerary, meet at 9.30 am last time, at the scheduled parking place in the town of arrival for a bus transfer to the municipality of departure. The accompaniment is provided by the Friends of Santiago de Compostela of Tournai for the stage from Tournai and by the association Saint-Jacques in Boulangrie for the other 6 stages. The price is 8 € per person per step. The price includes: bus transfer, guided tour or tasting. The price does not include: picnic and personal expenses. For more ease, book online at www.saint-quentin-tourisme.fr Do not forget to be well equipped! Good shoes and clothes adapted to the weather are needed. Plan your picnic too. Semi-nocturnal family walk Notice to families! On Thursday, July 25, come celebrate St. Jacques during a semi-nocturnal family walk, leaving the mine site Wallers-Arenberg at 20 hours. It's gone for 8 kilometers! At the key, enjoy a friendly moment around a tasting! To book (25 places maximum), contact the Tourist Office of La Porte du Hainaut at +33 (0) 3 27 48 39 65 or by email: contact@tourisme-porteduhainaut.fr The price is 8 € per nobody.